Total ban in selling meat in the 500-mt area. 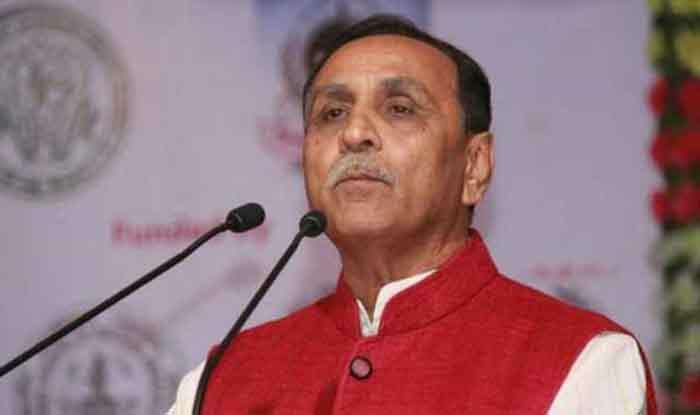 Ahmedabad: Gujarat Chief Minister Vijay Rupani has declared as “vegetarian zones” a 500-metre area surrounding the pilgrimage sites of Somnath temple in Saurashtra and Ambaji temple in north Gujarat. The announcement was made by Chief Minister Vijay Rupani at a gathering in Palanpur in Banaskantha district, around 145 km from here. This means that non-vegetarian food, such as meat and chicken, cannot be sold near the premises of these two temples. While the Somnath temple is in Gir-Somnath district, the Ambaji temple is in Banaskantha district. “I hereby declare a 500-metre area surrounding the pilgrimage places _ Somnath and Ambaji _ as vegetarian zones. From now on, there will be a total ban on selling non-vegetarian food in these areas,” Rupani told the gathering. Several religious outfits and the residents of these pilgrimage centres had been demanding such a measure since long. Both the temples are top religious sites for Hindus, attracting pilgrims from all over the country as well as abroad. Meanwhile, the Rupani-led government said that those who have settled in the state after 1978 will not be eligible for the 10 per cent quota to the poor in the general category. Gujarat, which was the first state in the country to implement the reservation for the economically weaker sections (EWS) in the general category, announced that in order to avail the benefit, people must fulfil the above-mentioned criterion. Gujarat Deputy Chief Minister Nitin Patel had announced the two rules for the implementation of EWS quota in the state on Wednesday. In addition to residing in the state since 1978 criteria, the state government said it will only consider Rs 8 lakh annual income cap and not take into account land and house ownership criteria for providing 10 per cent reservation to candidates.